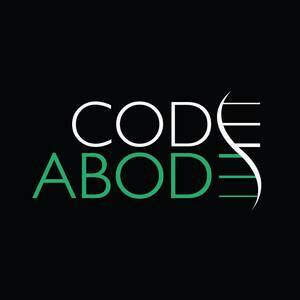 CodeAbode is a nonprofit coding bootcamp in Chicago focused on teaching the skills necessary to build innovative websites and applications for the healthcare industry. CodeAbode offers a 14 week full stack bootcamp made up of 7 courses lasting for 2 weeks. Part-time classes meet twice a week in the evening over 10 weeks. 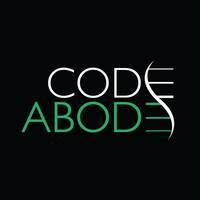 CodeAbode is a division of the National Museum of Health + Medicine Chicago (NMHM Chicago). While the bootcamp specializes in health and medicine, the acquired skills are transferable to all areas of the programming world, and all students are welcome. I really enjoyed my time in class every day. The classes had a great student to teacher ratio so if I ever needed personal help on a problem there was a professor or TA available rather quickly. The environment was one in which I felt comfortable asking questions in front of the whole class or just in a one on one situation. The professors were extremely helpful. They were knowledgeable to the point they were able to quickly determine where my issue was then help me to figure out a solution myself rather than simply handing me the answer. Hint: there’s almost always more than one answer. I think this was fundamental in actually learning the languages. If they didn’t care that I actually learned the material and just handed me answers I wouldn’t have the skills I have today. There wasn’t really ever any work that had to be done outside of class unless I fell behind on something and needed to finish it before class the next morning. They did suggest some books to read to get a deeper understanding of the material they were covering and even alternative methods to accomplish the same task. I did try to read up on the material they suggested but honestly didn’t half of the time. I’m doing a lot more of that now though. Over 2.5 months I only had to work on a project outside of class a handful of times, which I liked. I also liked how the projects would build upon one another so that if it were day 7 of a class (all classes were 10 days unless there was a holiday) I would be combining elements I learned on day 2, 4, 5 and 6. Repeatedly using a number of basic and advanced concepts engrained them into my memory so that when I had to recall them in later classes I already used them so extensively that they were pretty easy to remember. I am now building my own app and website. What’s great is that they really fostered a relationship both between the professors and other students. Several of us still come in every day and sit in another room to work on our individual projects occasionally asking one of the professors a question if we run into a roadblock. This co-working environment is really the icing on top of the cake for me. I know I won’t be able to come in forever but knowing I can continue to come in for a couple months after I’ve gone through all the courses and work on projects in a professional environment is really comforting as I continue to improve my skills and build my own app. An email with these details has been sent to CodeAbode. You've already applied to this scholarship with CodeAbode.